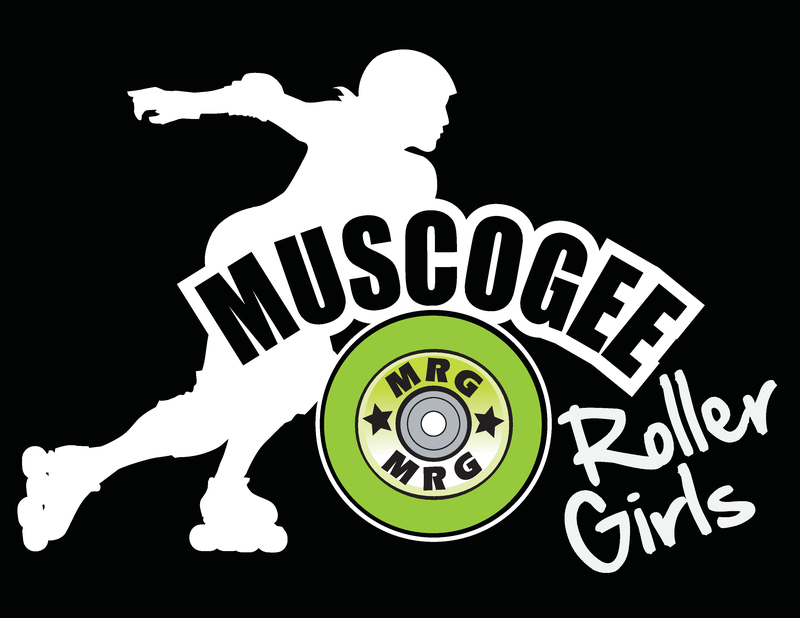 Muscogee Roller Girls is the Tri-City Area’s only all-female, full contact, flat track roller derby league. 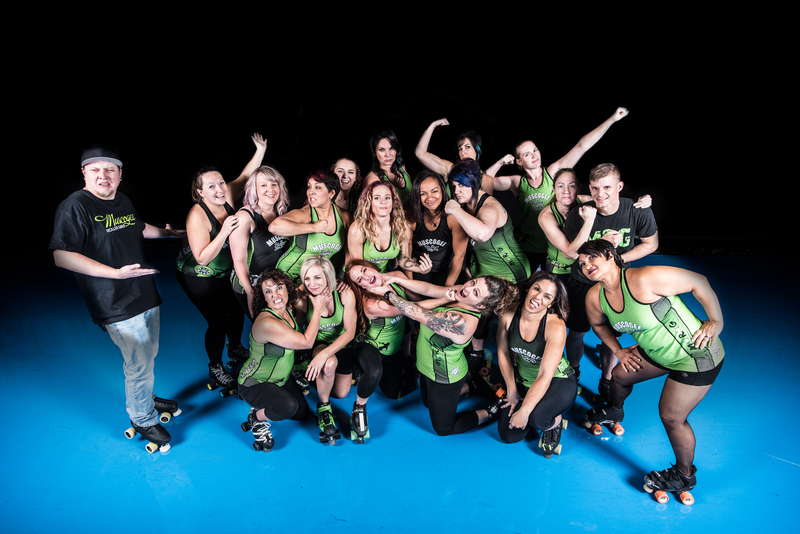 As a 501c7 non-profit organization, MRG is committed to growing and promoting the sport of Roller Derby by bringing together a diverse group of women to represent the community in regional athletic competition and foster sportsmanship, teamwork, and grit. MRG seeks to provide positive role models for young women by serving as contributing members of the local community by providing support through outreach, volunteerism and financial contribution. The Muscogee Roller Girls play by the Women’s Flat Track Derby Association (WFTDA) rule set. Bylaws of Muscogeee Roller Girls, Inc.
Flat track roller derby is a full contact sport played on quad roller skates within a flat, oval track. A roller derby bout (game) is made up of a series of jams (plays). Each team has five skaters on the track in each jam: a jammer (point scorer), three blockers, and a pivot (whose job it is to control the pack). The pack is defined as the largest number of skaters–from both sides–within 10 feet of each other. Jammers can be identified by wearing a star on their helmet and score points by passing blockers and pivots from the opposing team. The blockers and pivots (who wear a stripe on their helmet) play both offense and defense. They work as a unit to stop the opposing jammer from getting through the pack, whilst assisting their own jammer through. The jammers’ first pass through the pack establishes which jammer is lead jammer. The lead jammer is the first jammer to get through the pack without any penalties. The lead jammer has the strategic advantage of calling off the jam (ending the play). There are no points scored on the first pass – it is to establish lead jammer only. Beginning with the second pass through the pack, a jammer scores one point for each member of the opposite team she passes. Penalties are given to skaters who block illegally, fight or behave in an unsporting manner, or otherwise break the rules.